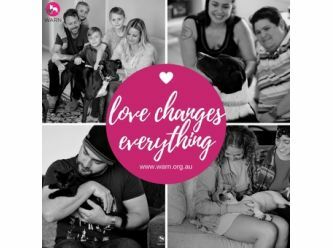 Welcome to WARN Inc, a registered non-profit charity set up to help save abandoned and neglected companion animals in need. 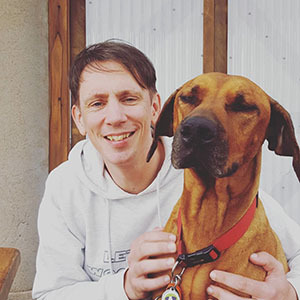 WARN is run by volunteer members who are passionate about animal welfare and dedicate their spare time to saving lives. At WARN we take the time to get to know our fosters so future adopters can make an informed decision when adopting their next pet. We encourage adopters to look past the breed and age of the animal and make a decision based on temperament and suitability to your current and future situation. By adopting a WARN pet you are not only helping that animal but another animal will be saved in its place. 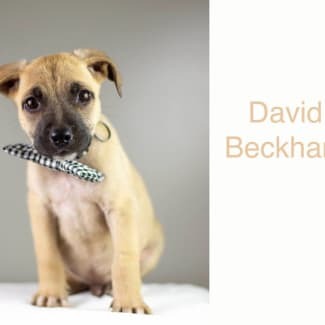 Meet David Beckham (Becks!) Being born into the family of the Spice Girls, what other name could I have really been given! I have to also point out, I’m definitely the cutest of them all!!! So my name really matches my looks I’m a cute boy of just shy of 8 weeks old, being a Shepherd mix I would say I’ll grow to the size of a Kelpie (approx.) I’m active and love playtime, being part of a large litter I’m well socialised with other dogs and not to forget my human companions. I will need to be trained from scratch as being a little one I don’t have those skills yet. I would benefit being in an active household with lots of playtime and room to roam. I see myself as the boy who excels at all sports and especially with a ball! Don’t delay in reaching to meet me and see if I’m that new baby your home is looking for. Please do note: "Applications are open and invited until Sunday the 14th of April. All applications submitted will be reviewed after this date. Successful applicants will be contacted after Sunday 14th of April to arrange an adoption meeting appointment. All in the family including any pets are expected to attend this meeting and if it’s a great fit the puppy will be ready to leave with you on the day. Thank you for your patience while we find this beautiful boy a wonderful forever home." 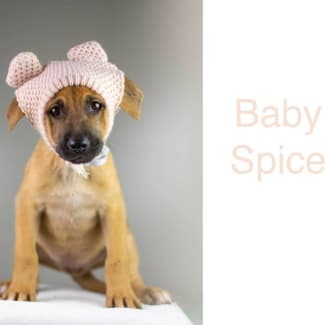 Meet Baby Spice! 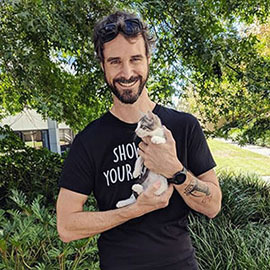 Yo, I'll tell you what I want, what I really really want So tell me what you want, what you really really want I'll tell you what I want, what I really really want - new forever Home! I’m such a little Baby Girl! Is just the sweetest and nearly the smallest of the gang, she loves a snuggle like a baby I’m a sweet girl of just shy of 8 weeks old, being a Shepherd mix I would say I’ll grow to the size of a Kelpie (approx.) I’m active and love playtime, being part of a large litter I’m well socialised with other dogs and not to forget my human companions. I will need to be trained from scratch as being a little one I don’t have those skills yet. I would benefit being in an active household with lots of playtime and room to roam. 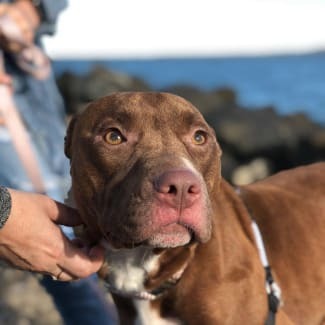 I see myself as a girl that will enjoy long snuggles and cuddles and plenty of kisses Don’t delay in reaching to meet me and see if I’m that new baby your home is looking for. Please do note: "Applications are open and invited until Sunday the 14th of April. All applications submitted will be reviewed after this date. Successful applicants will be contacted after Sunday 14th of April to arrange an adoption meeting appointment. All in the family including any pets are expected to attend this meeting and if it’s a great fit the puppy will be ready to leave with you on the day. Thank you for your patience while we find this beautiful girl a wonderful forever home." Meet Ruby Rose I’m a Sweet petite girl who is very affectionate and human focused. I am good with other dogs, though would be best to meet all others first. I know sit & stay. Well mannered very affectionate and loyal. I would prefer a home where the owner was around more often than not, I do get on with other dogs but would be prefer to be the centre of attention if you know what I mean. I’m a massive cuddle girl and love lots of kisses also. I’m still young only 2 years old so I have so much more to still give. Did you notice my beautiful dark rick chocolate coat with eyes almost the same to match. I’m really a total love bug and cannot wait to meet my new and forever home. If you believe I’m your girl, then enquire about me.. I’m waiting to hear from you! 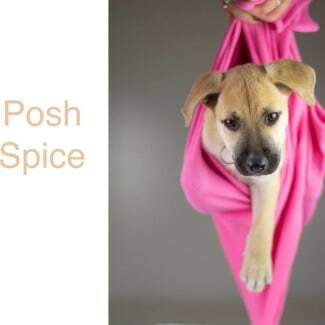 Meet Posh Spice Yo, I'll tell you what I want, what I really really want So tell me what you want, what you really really want I'll tell you what I want, what I really really want - new forever Home! I’m really am the most gorgeous of them all! Look at my blonde coat and face! I best in photo shoots too as I know all the right moves. I’m a sweet girl of just shy of 8 weeks old, being a Shepherd mix I would say I’ll grow to the size of a Kelpie (approx.) I’m active and love playtime, being part of a large litter I’m well socialised with other dogs and not to forget my human companions. I will need to be trained from scratch as being a little one I don’t have those skills yet. I would benefit being in an active household with lots of playtime and room to roam. I see myself as a girl that will enjoy long snuggles, pats, dressing up, selfies and lots more of the beautiful things in life Don’t delay in reaching to meet me and see if I’m that new baby your home is looking for. Please do note: "Applications are open and invited until Sunday the 14th of April. All applications submitted will be reviewed after this date. Successful applicants will be contacted after Sunday 14th of April to arrange an adoption meeting appointment. All in the family including any pets are expected to attend this meeting and if it’s a great fit the puppy will be ready to leave with you on the day. Thank you for your patience while we find this beautiful girl a wonderful forever home." 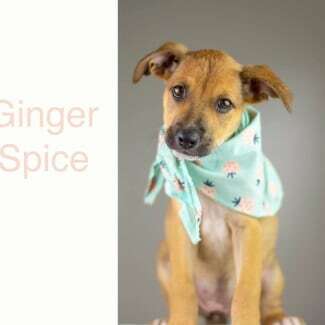 Meet Ginger Spice Yo, I'll tell you what I want, what I really really want So tell me what you want, what you really really want I'll tell you what I want, what I really really want - new forever Home! I’m such a red head and not to mention my divine deep ginger coat of mine. I’m a sweet girl of just shy of 8 weeks old, being a Shepherd mix I would say I’ll grow to the size of a Kelpie (approx.) I’m active and love playtime, being part of a large litter I’m well socialised with other dogs and not to forget my human companions. I will need to be trained from scratch as being a little one I don’t have those skills yet. I would benefit being in an active household with lots of playtime and room to roam. I see myself as a girl that will enjoy long snuggles, pats and playing Don’t delay in reaching to meet me and see if I’m that new baby your home is looking for. Please do note: "Applications are open and invited until Sunday the 14th of April. All applications submitted will be reviewed after this date. Successful applicants will be contacted after Sunday 14th of April to arrange an adoption meeting appointment. All in the family including any pets are expected to attend this meeting and if it’s a great fit the puppy will be ready to leave with you on the day. Thank you for your patience while we find this beautiful girl a wonderful forever home."